December 2008 – OpenTech Alliance, Inc.
PHOENIX, Arizona – December 23, 2008 – OpenTech Alliance, Inc., today announced that their latest innovation in self-service kiosks – the INSOMNIAC 770 – is ready to go to work. The new kiosk is the result of a joint development project with one of the industry’s leading self storage operators. The 770 includes the latest in patented self service technology, easy to use INSOMNIAC software, on-screen assistant “Megan” and it is backed by OpenTech’s world-class team of customer service professionals. The 770’s freestanding pedestal design, onboard signage, and optional canopy make it easy to install and extremely visible. And, its new leasing options make it even easier to own. The standard model is black with an ultrasonic chrome shell, but it can be customized to match any branding scheme. Like all INSOMNIAC models, the 770 interfaces in real-time with the property management software already in use at the facility. With the 770, operators can start renting more units and reducing staffing costs immediately. The INSOMNIAC 770 is priced at $15,500, but can also be purchased on a lease-to-own basis for a low monthly fee which is less than the cost of a part-manager. Your investment in the 770 is protected by OpenTech’s comprehensive Maintenance and Warranty Service (MWS) for $225 per month. Details about what the MWS program covers and optional configurations available can be found on the company’s website or by contacting the company directly. OpenTech Alliance, Inc. is the leading developer of self-storage kiosks. OpenTech’s patented INSOMNIAC kiosks enable customers to rent units, make payments, purchase locks, and update their accounts on their own without a manager’s assistance. For more information about OpenTech, please visit www.opentechalliance.com or call (602) 749-9370. NOTE TO EDITORS: OpenTech Alliance, the OpenTech logo and INSOMNIAC are trademarks of OpenTech Alliance, Inc. Other company and product names may be trademarks of their respective owners. INSOMNIAC is protected by U.S. Patent # 5,946,660. PHOENIX, Arizona – December 2, 2008 – OpenTech Alliance, Inc., the makers of INSOMNIAC self-storage kiosks, announced today that RK Kliebenstein has joined their already impressive advisory board. 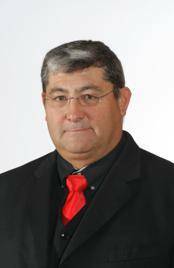 Mr. Kliebenstein is a world-wide industry known speaker, author and expert witness, has experience in acquiring, developing, managing and financing self-storage properties. “OpenTech’s self service solutions are changing self-storage economics, enabling owners to dramatically improve their bottom line and provide a new level of customer service and convenience. I am excited to be involved with a company that is changing the self-storage industry for the better ” , said RK. RK has worked and consulted on behalf of clients and employers, analyzing, acquiring, developing and integrating a wide variety of self-storage projects. During his career, RK has underwritten over three billion dollars in self-storage transactions. He estimates he has reviewed over 8,000 sites, analyzed 400 million square feet of storage space and personally seen more than 480,000 roll up doors! 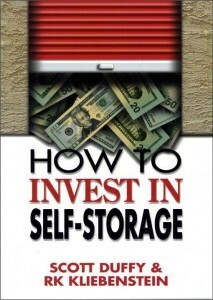 “How to Make Money in Self-Storage” and “How to MakeIn September, 2005, RK and co-author Scott Duffy released the book “How to Invest in Self-Storage” through the publisher Minico. Book sales are brisk and the book is available on-line at minico.com and Amazon.com. His second and third books, “How to Make Money in Self-Storage” and “How to Make More Money in Self-Storage” are now available as well. OpenTech Alliance, Inc. is the leading developer of self-storage kiosks. Its dependable INSOMNIAC line of self-storage kiosks improves customer convenience, reduces operating costs and increases revenues for self-storage facilities. For more information about OpenTech or its INSOMNIAC kiosks, please visit www.opentechalliance.com or call (602) 749-9370.